While the second entry to the railway station is ready, the railway officials are in consultation with the road-owing agencies to work out a plan to expand the circulating area on SP Mukherjee Marg. Nearly 300 trains operate from Old Delhi station which receives an average daily footfall of around three lakh passengers. The entry/exit to the Old Delhi railway station is set to improve in the next few months with execution of the decongestion plan chalked out by the Northern Railways. While the second entry to the railway station with a swanky building on Mori Gate side is ready, the railway officials are in consultation with the road-owing agencies to work out a plan to expand the circulating area on SP Mukherjee Marg. 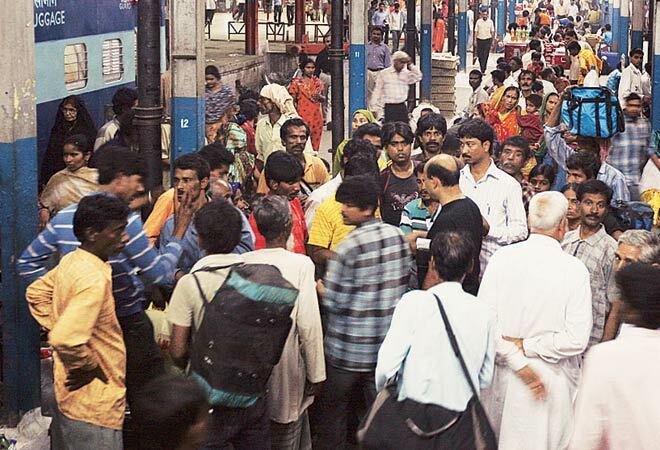 Officials said they are planning to remove the outer wall of the station premises in order to provide unhindered movement of pedestrians to the railway station. Delhi's divisional railway manager Arun Arora said the revamped second entry of the Old Delhi station opposite Kashmere Gate GPO circle will be opened for public by the end of this month. The new station building - similar to Ajmeri Gate side of New Delhi station - has been provided with all the basic amenities for the passengers. "The ground floor of the two-storey building has ticket booking counter, cloakroom and office of the deputy station superintendent. The first floor would house a food court and a waiting area. The building will be inaugurated in a few weeks," Arora said. Officials said the new station entry was necessitated because excess of renovation work on the main station building could not be carried out because it is a heritage structure protected by the Archaeological Survey of India (ASI). The second entry on Hamilton Road has been opened with an aim to decongest the main entry to the station on SP Mukherjee Marg. The new station entry will divert the passenger traffic from the main entry. Earlier, the second entry lacked basic amenities, including a waiting area that forced passengers to visit the main entry for availing facilities. Decongestion of Old Delhi railway station is part of the Chandni Chowk redevelopment plan which has been delayed by several years. Nearly 300 trains operate from Old Delhi station which receives an average daily footfall of almost three lakh passengers. Officials expect that at least 25-30 per cent of passenger traffic would shift to the second entry once the facilities are ready. "We expect around 60,000-80, 000 passengers to use the second entry. The entry would prove handy, especially for people visiting the station from north and east Delhi. Once the second entry becomes fully functional, the congestion on SP Mukherjee Marg will automatically ease," officials said. At the same time, the North Delhi Municipal Corporation has also planned a Rs 124-crore project to decongest the Old Delhi station. An elevated corridor connecting SP Mukherjee Marg to Church Mission Road and a multi-level underground parking lot opposite the station have been planned. Having obtained necessary sanctions from multiple agencies like UTTIPEC and Delhi Urban Arts Commission (DUAC), the project is expected to be complete by 2016. The plan includes constructing an elevated road originating from Kauria Pul on SP Mukherjee Marg to Church Mission Road. Further, a three-level underground parking will be constructed on Dangal Maidan opposite the railway station.